There are a few species of Bulrushes in our area. 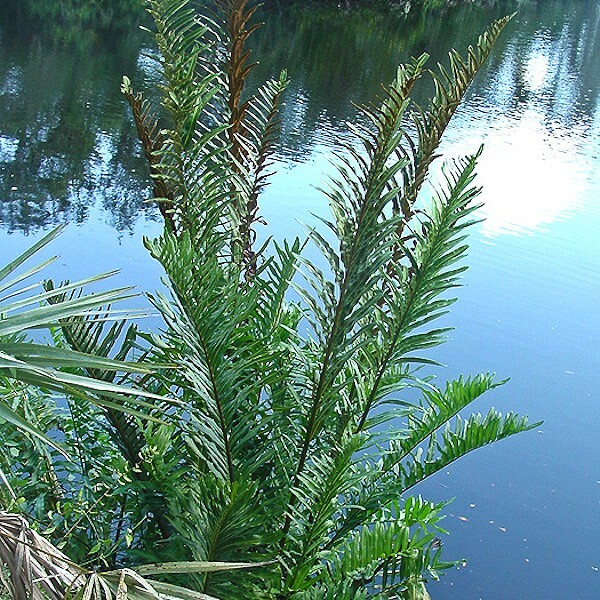 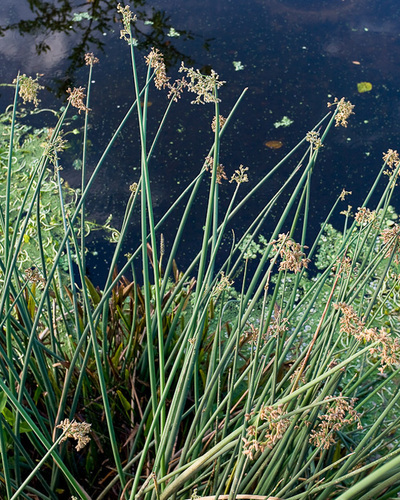 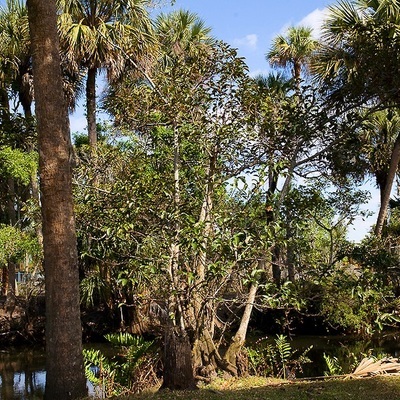 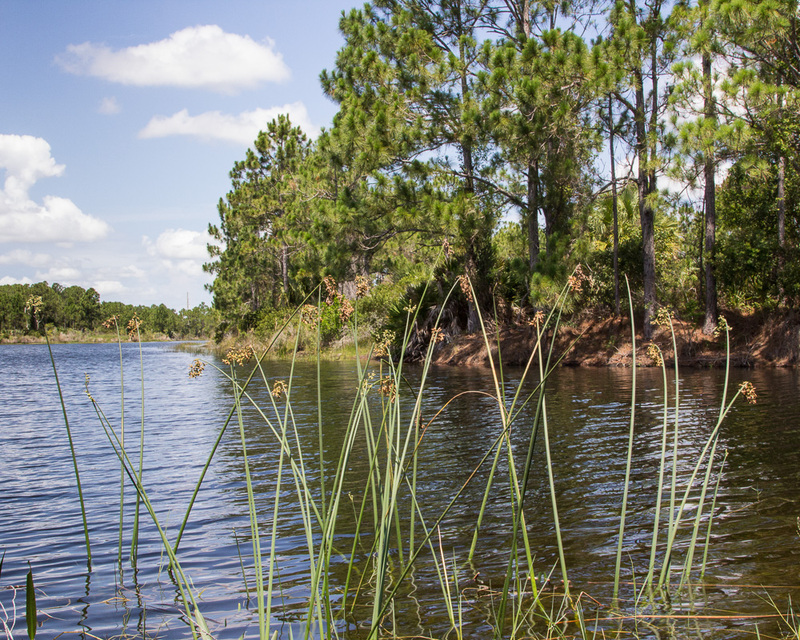 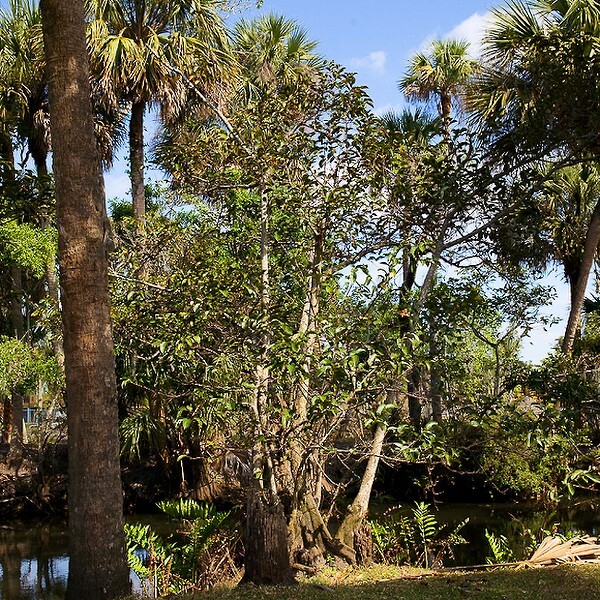 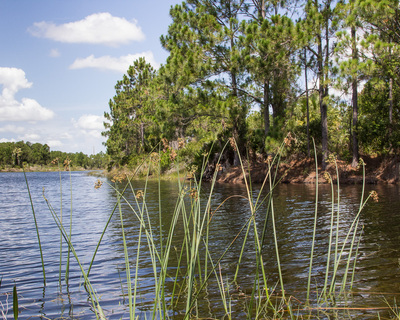 Look for large (nearly) leafless plants rising from shallow water. They are essentially nothing but long wands with the small brown flower clusters dangling from the side a short distance below the pointy top. A locally abundant shrub of sunny shores, sometimes in large stands. 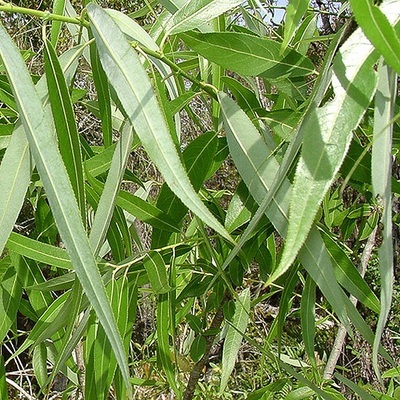 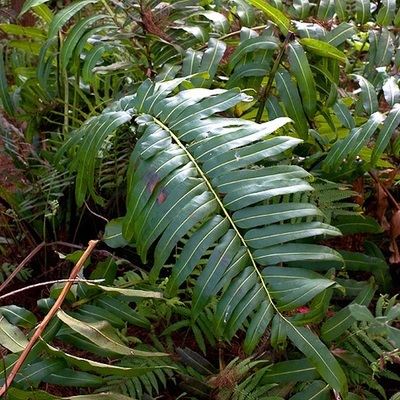 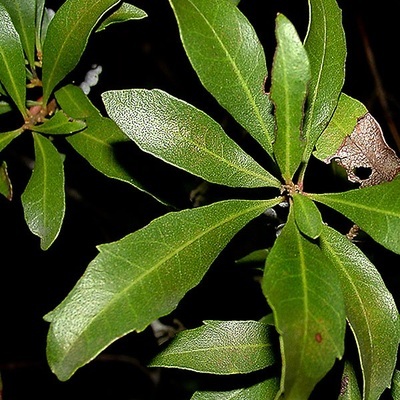 The leaves are very narrow, toothed, and sharp-tipped. 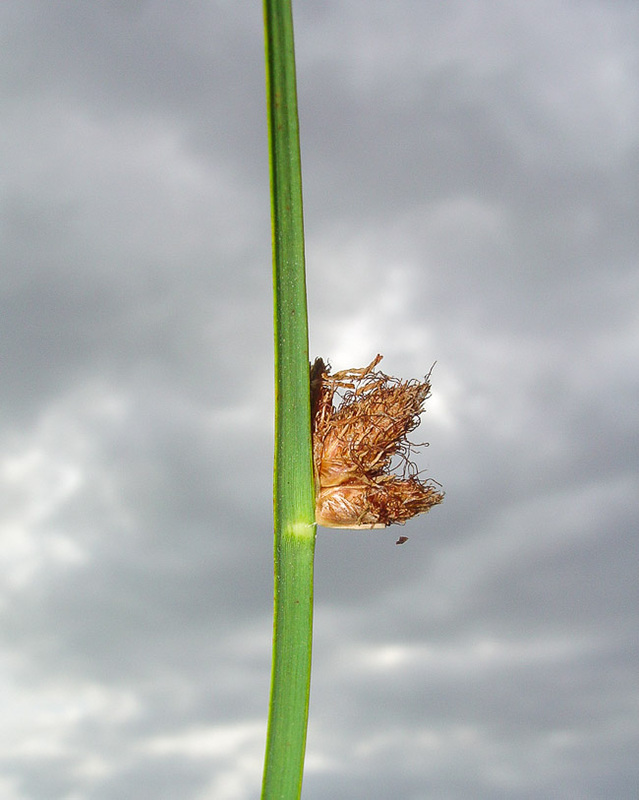 They have a large stipule (flap where the leaf joins the stem). 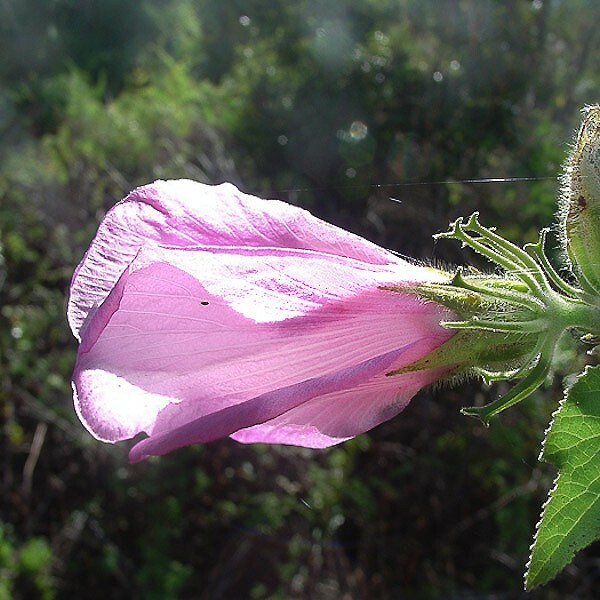 The flowers, in late winter or early spring, are not very showy and are packed into short stubby spikes. 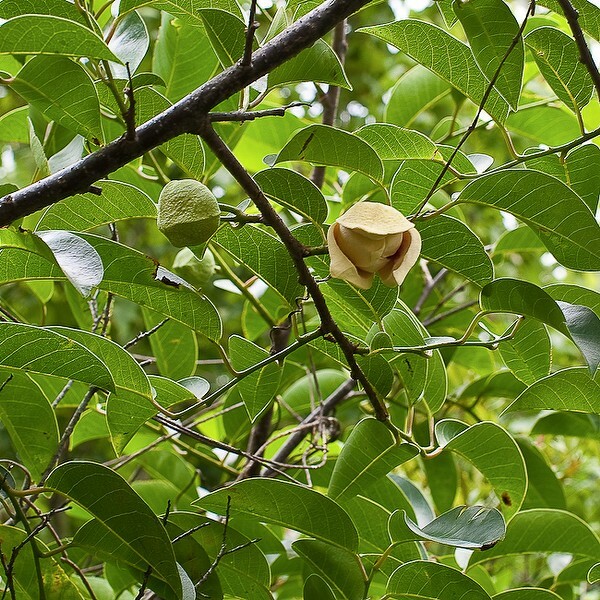 The fruits open to release parachute seeds. 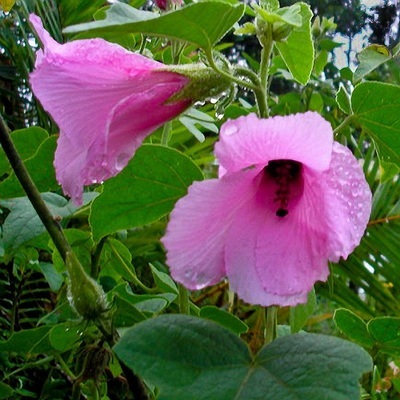 This is the locally common native Hibiscus. The shrubs are extremely fuzzy, and the big flowers are pink. The fruit is a dry capsule that splits into 5 parts. You see Pickerel Weed in every pond and ditch. 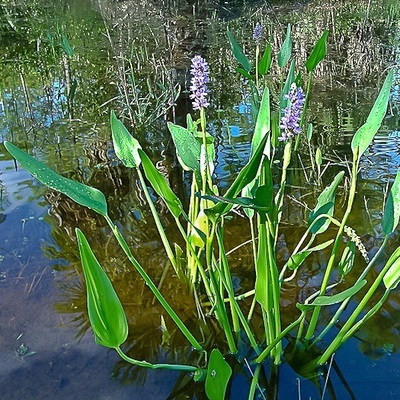 It likes shallow water or wet mud. 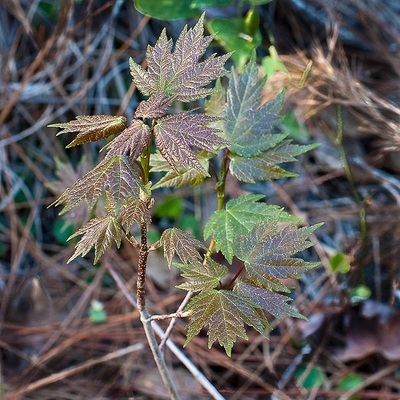 The leaves are vaguely lance-shaped. 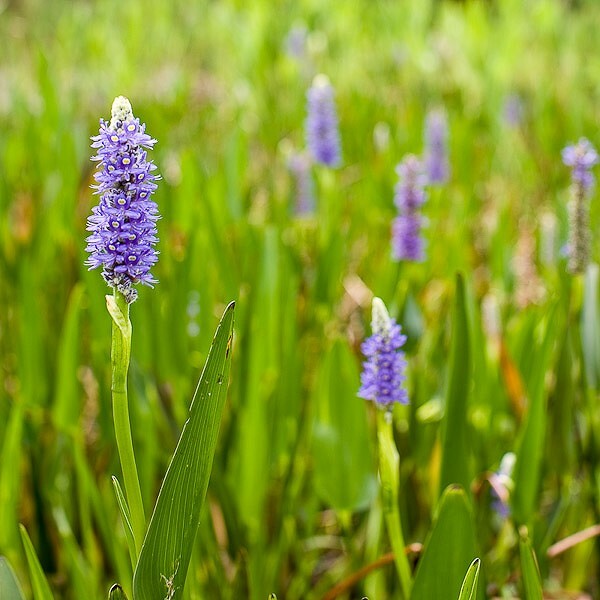 You can’t miss the candles of purple flowers. 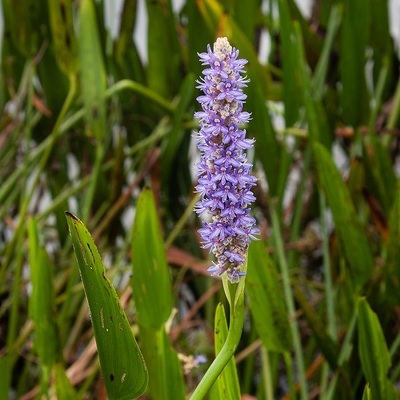 It is related to Water Hyacinth which differs by floating. 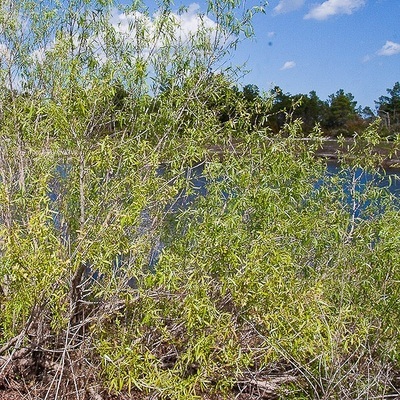 A common wetland broadleaf tree with a little fall color. The lobed leaves are opposite. 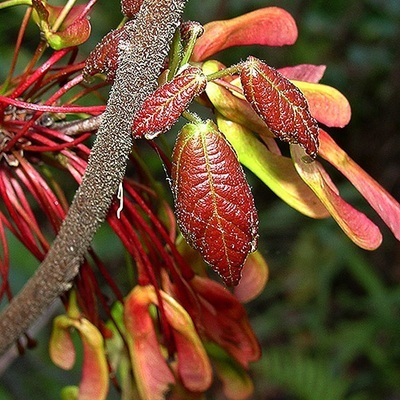 The reddish flowers are small, fleeting, and inconspicuous, and the fruits have wings. We have three species of Saltbush in our counties. 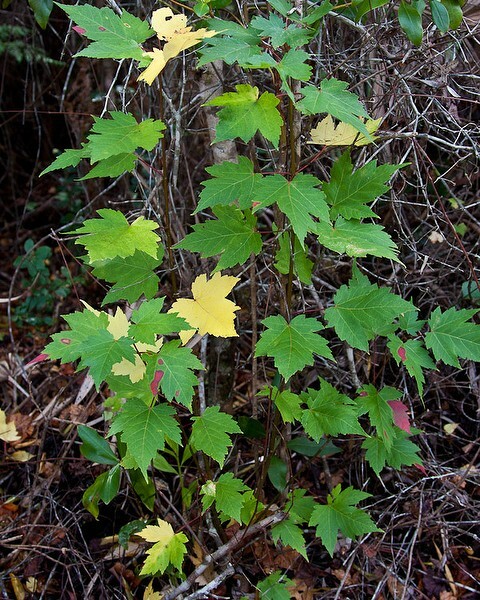 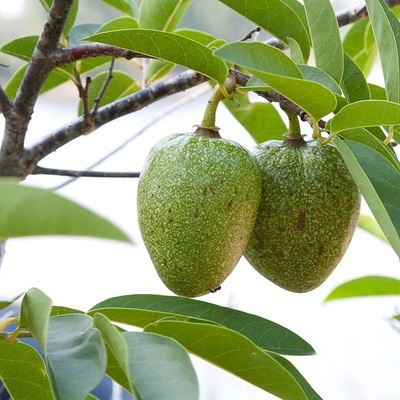 The tough alternate leaves are vaguely wedge-shaped and coarsely toothed. 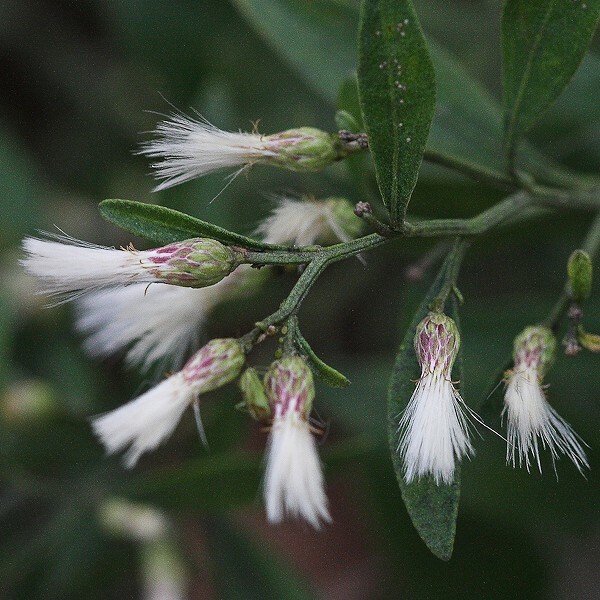 The flowers are very small, white, and packed tightly into numerous small heads. 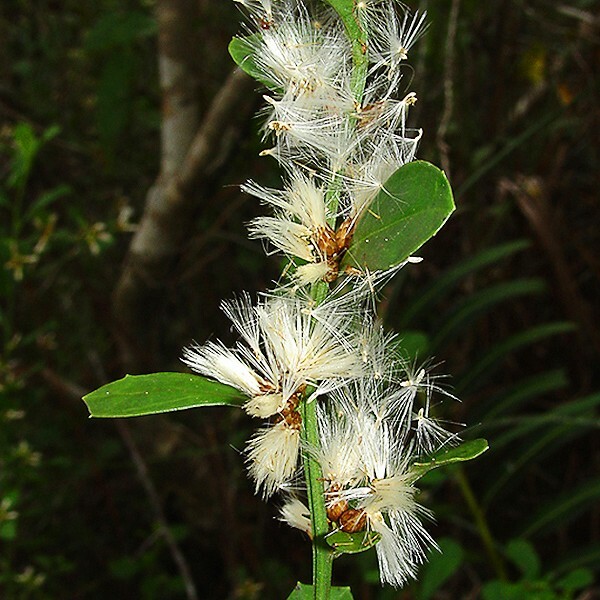 The seedlike fruits have fuzzy white parachutes. 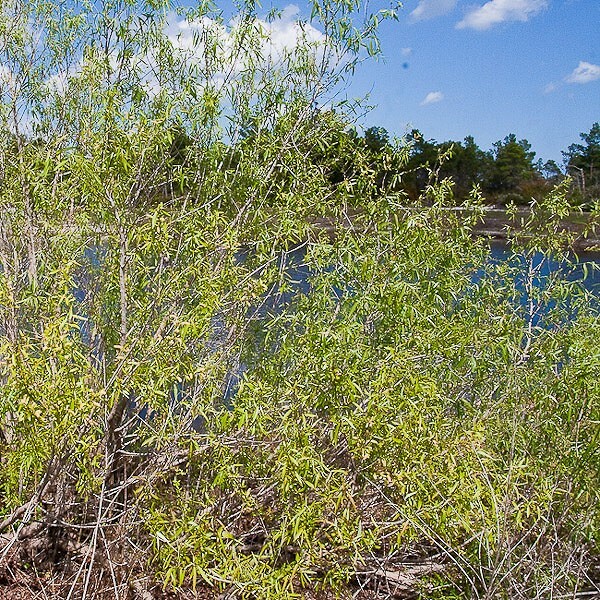 In places, an important broadleaf wetland tree. 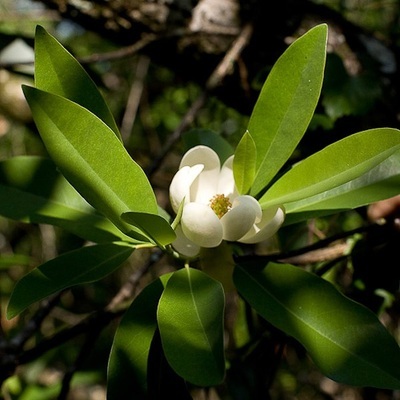 The leaves are fragrant when crushed, and white beneath. Each stem tip has a “dunce cap.” The flowers are white and showy, with separate petals and lots of stamens. 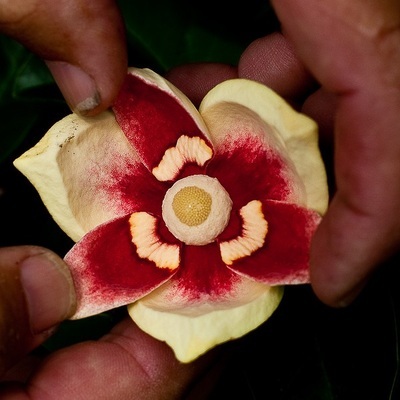 The fruits consists of several small separate units, each releasing a red seed. 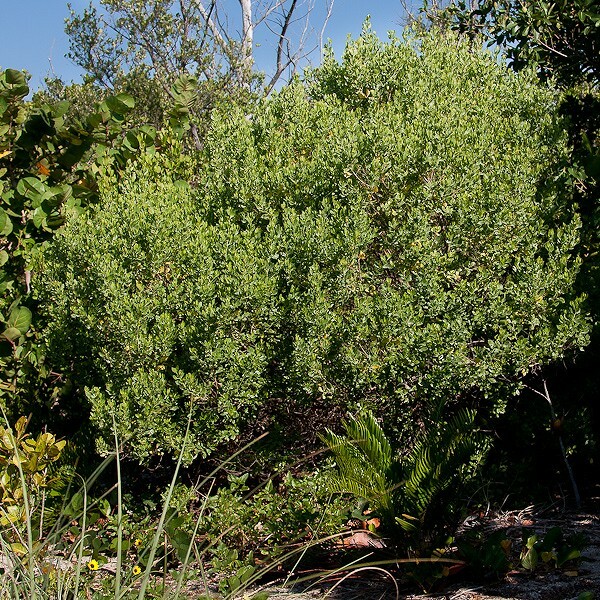 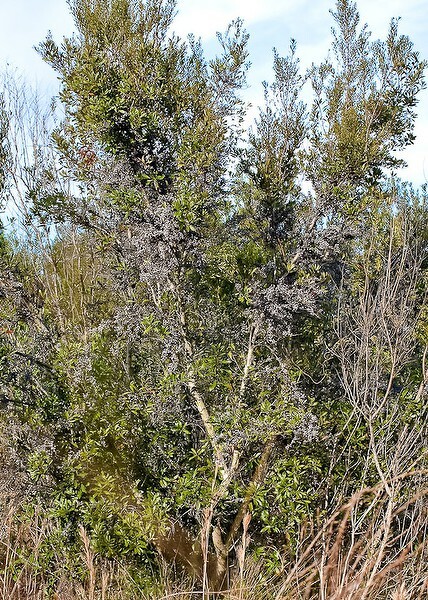 Wax Myrtle is a locally common shrub in multiple habitats, most often moist places. The narrow leaves are widest above the middle with big irregular teeth. 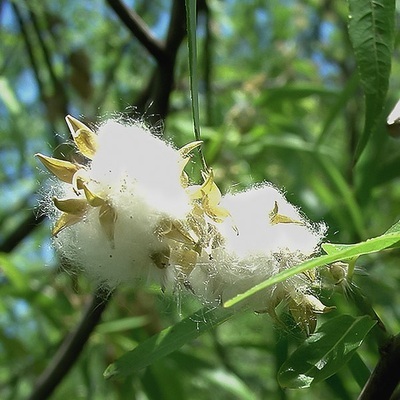 They are often fragrant when crushed, but this varies. 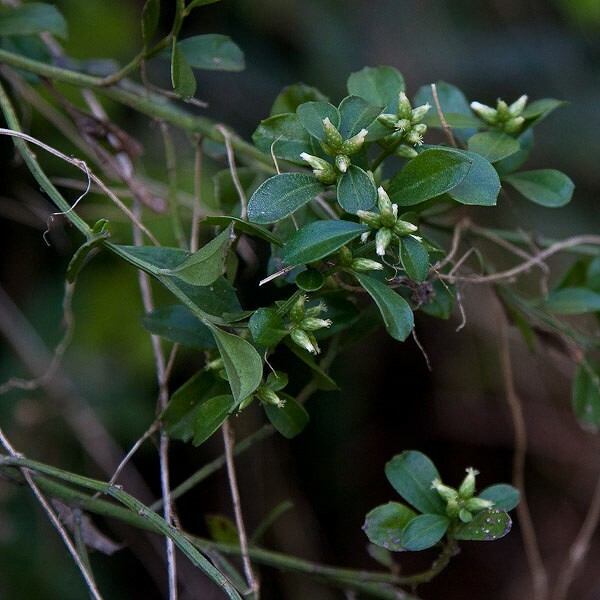 The small flowers followed by small waxy fruits form directly along the stems, as is true also of Myrsine. 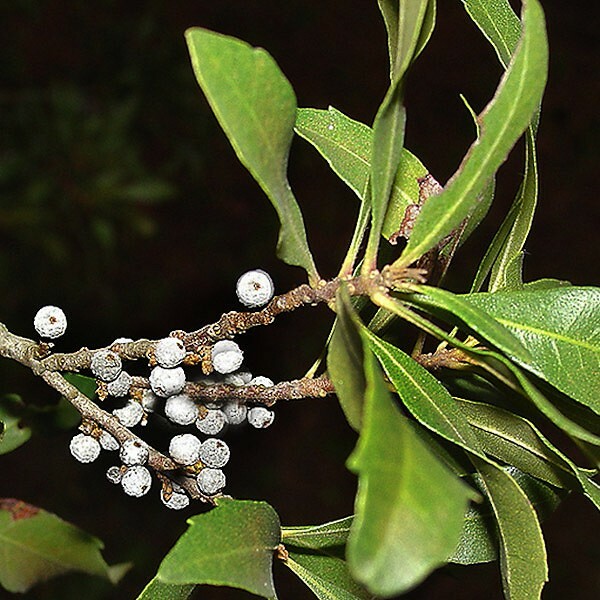 The fragrant wax on the fruits is recovered by boiling and skimming, and is related to Bayberry, as in Bayberry candles. 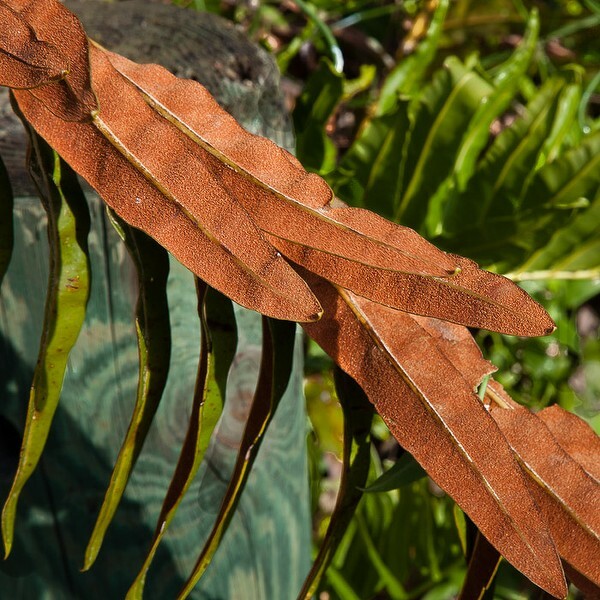 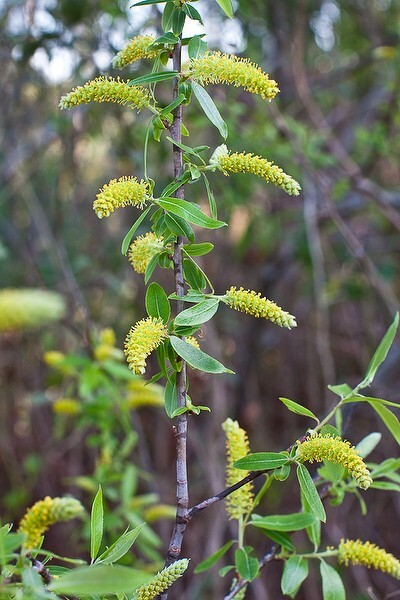 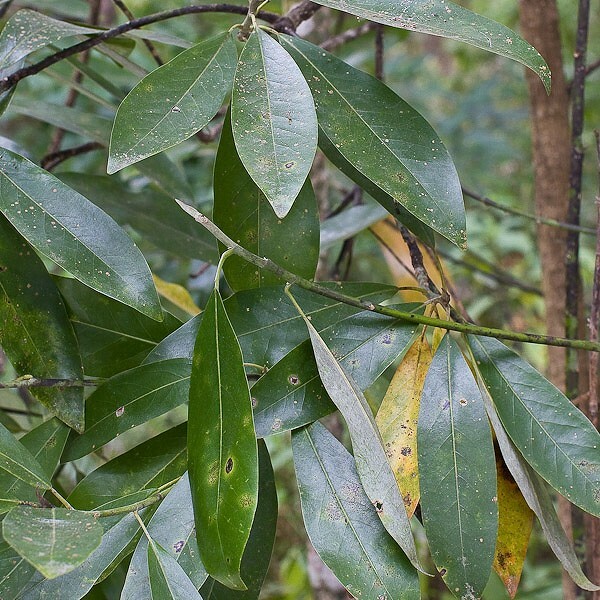 Wax Myrtle can “fix” nitrogen, an uncommon adaptation outside of the Legume Family.